Goa, having best track record of education, witnessed a scene today where the owner of a building locked a rented premises of a government primary school in South Goa. Francisco Luis Gomes Government Primary School at Colmorod in Navelim was found locked today morning, due to which the teachers and students had to go without a class. Education depty director R F Samant, who rushed to the spot, confirmed that the rental contract with the owner had ended. He told goanews.com that the rental contract had not been renewed since May, but the matter is being sorted out with the education director. The teachers and students were then shifted to temporary premises. 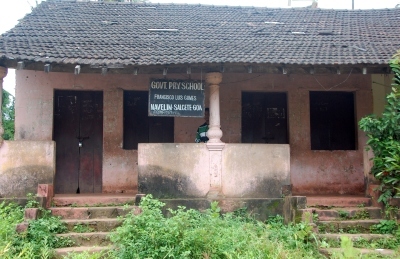 The school exists in the building since 1965. It is also being used as two polling booths for elections.